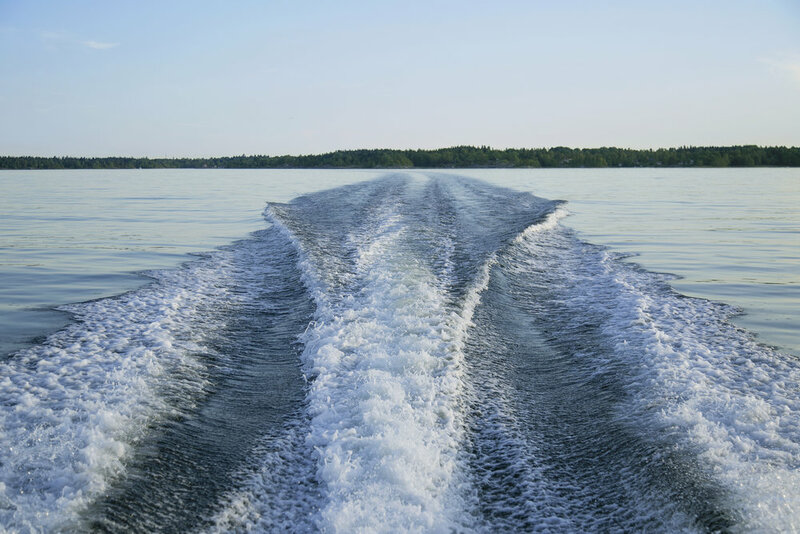 Nolla Cabin is located on Vallisaari Island just outside Helsinki city center, with an easy access by a short boat ride. 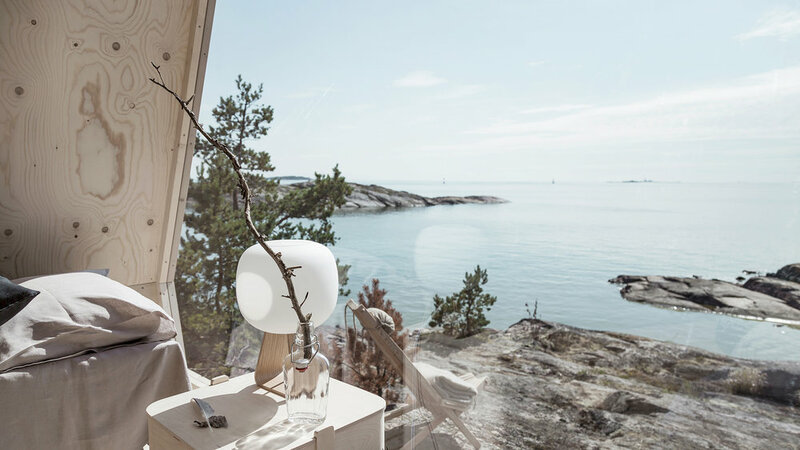 The cabin is designed by Helsinki-based designer Robin Falck and is a 9m2 wooden cabin designed to explore life living on less and to find a better and healthier connection with nature. 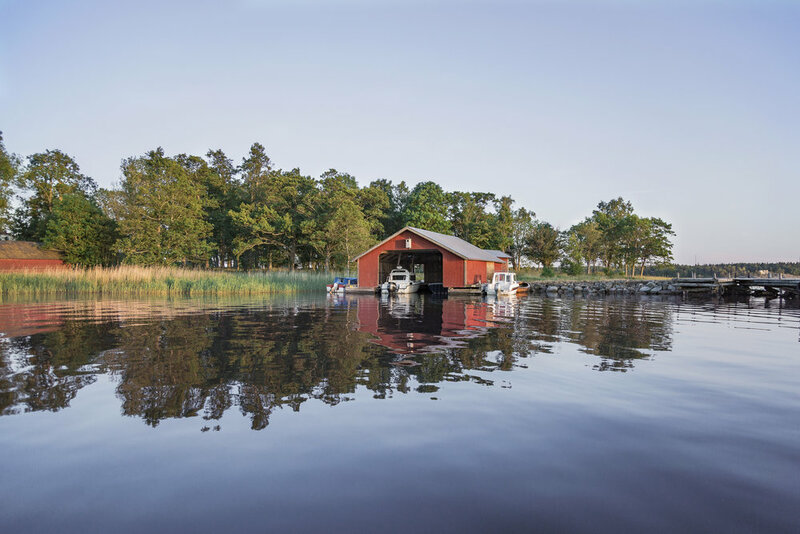 Living in the Nordics with constant access to the cleanest water in the world, with tap water often better than bottled water, it´s an essential easy to start taking for granted. But how much do we actually need, compared to what we use? Nolla, which means “zero”, doesn’t come with running water, making you rethink your actual need. A 700 meter walk away is where you´ll find the closest fresh water supply, and having to carry the liters of water needed back to the cabin, quite certainly makes people only bring back what they actually need, reducing our waste massively. Being surrounded by the sea the team behind Nolla cabin makes sure to instruct their visitors only to use natural cosmetics that can be found in the cabin, to avoid the water becoming enriched with minerals and nutrients which contributes to the exaggerated growth of plants and algae, which in turn has a disastrous effect on our underwater ecosystem. 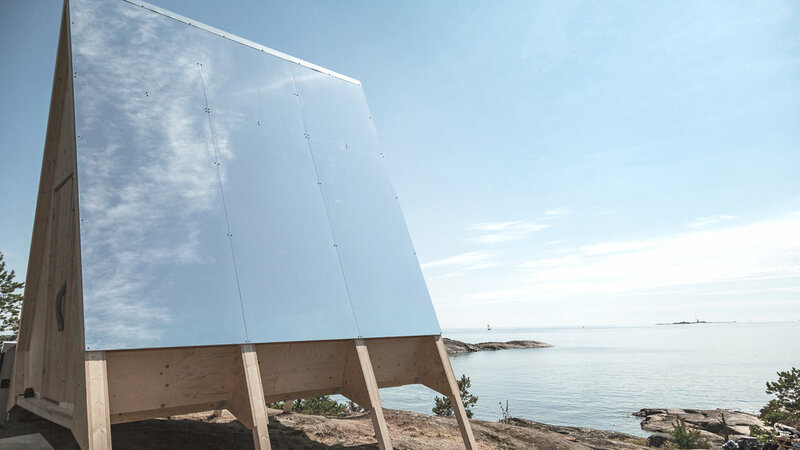 The construction of the Nolla cabin, located in the delicate archipelago, emission-free solar panels, which generates energy even in cloudy conditions, and renewable diesel, were the ideal choice to minimize emissions and to use clean energy solutions. 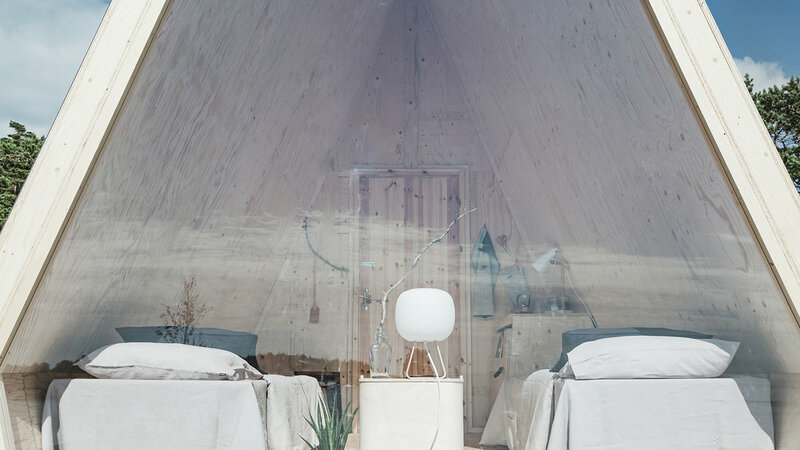 Not generating noise or pollution is key as the cabin is located in a diverse natural habitat. A Wallas stove, produced entirely from waste, designed for sailing purposes and ideal for buildings with a limited electricity supply, is installed for cooking and heating. 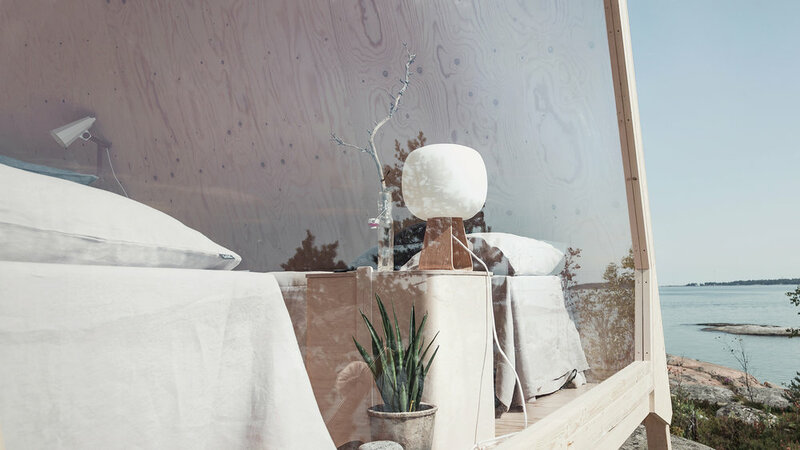 Constructing Nolla, made in natural and breathable wood secured with screws, is easy and can be done by only a few people, without any heavy machinery. 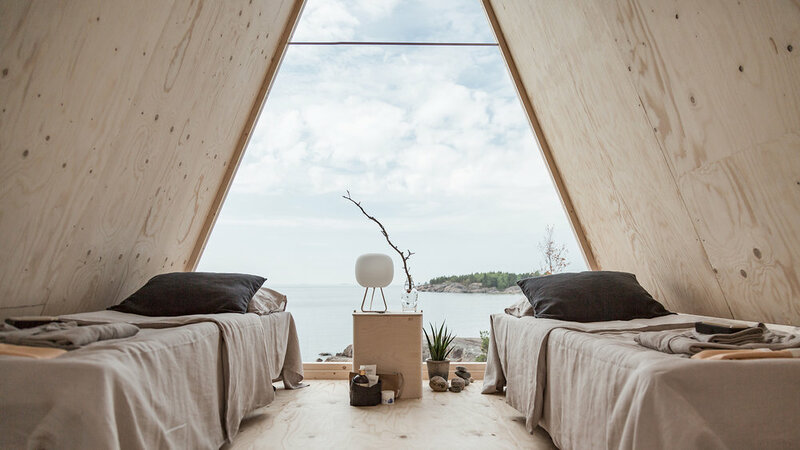 The “feet” enables the cabin to be standing in any terrain without any permanent groundwork, making it a great transportable living option with a low-impact living for fragile surroundings.